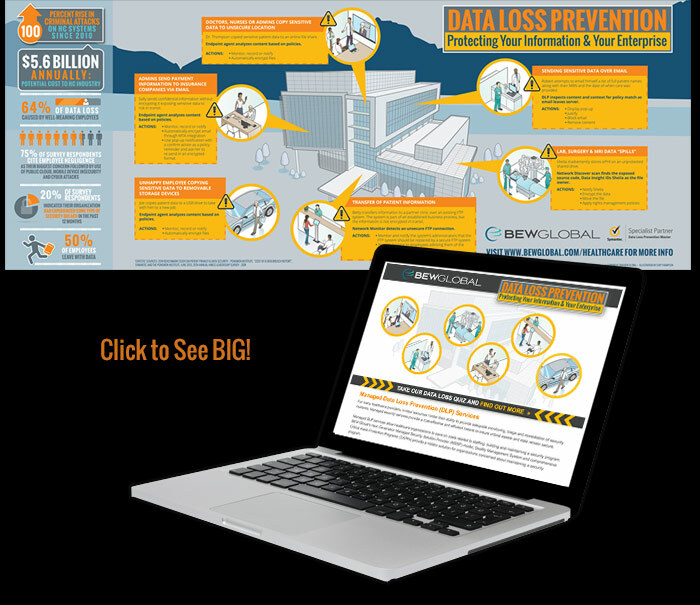 Recently, we launched a direct mail campaign for BEWGlobal out of Denver that used an infographic as it’s centerpiece (in the form of a 28 inch wide poster) shown below – click for the full image. We also developed a landing page on the BEWGlobal website that gives more information, including a couple of solution videos, and a quiz that gives real-time feedback based on how the viewer responds to the questions. Instant evaluation of potential holes in a Data Loss Prevention system. I created the illustration so that it could be easily re-purposed to other industries in future mailings. Overall, had a blast with this one!